Itâ€™s been three long years since he hit the stage in Brisbane but Carl is ready to impress audiences with his brand new show, Drinking with a Fork. Lights out, the mass kicks in, strobe lights on, stage begins to rise and the audience waits with bated breath. A crew of leather clad backup dances appear and the man himself enters from above. 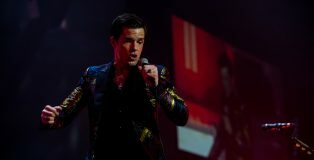 Ricky Martin you owned that stage! 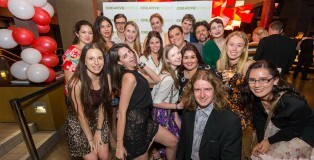 Here at Creative Drinks, we have loved watching Brisbane grow and the amount of attention we got compared to our sisters Sydney and Melbourne during the G20. Read on to find out what else we loved in 2014. 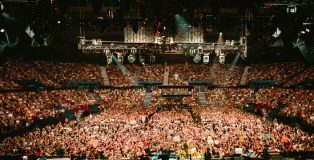 Miley Cyrus rode her usual wave of twerking, tongue-wagging and notoriety all the way to Brisbane on her Bangerz tour last Wednesday night – beneath the big-budget effects, her voice and showmanship shone through making it a night to remember. 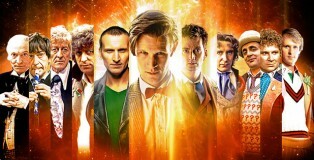 The Brisbane Entertainment Centre will play host to a musical celebration of the iconic BBC series, Doctor Who. Queen Bee, otherwise known as BeyoncÃ©, wowed the Brisbane stage with her Australian leg of the Mrs Carter World Tour. Rihanna took the Brisbane stage by storm on Saturday night as she continued her leg of the Diamonds World Tour.